Last week, HTC launched its first 3D smartphone, the HTC EVO 3D at the CTIA show. This handset will be exclusively available on the airwaves of Sprint in the US. But, HTC France recently tweeted that the HTC EVO 3D will be soon available for purchase in the France. It means that a GSM-flavour of this handset is in the making and it will be soon launched in the European markets. 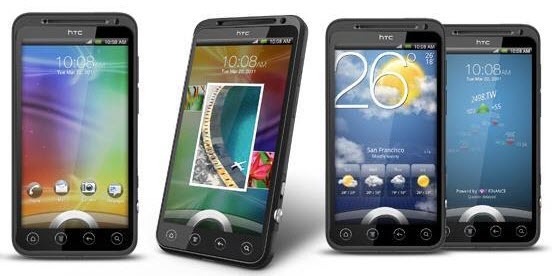 HTC EVO 3D features a 4.3 inch 3D QHD display, 1.2 GHz Qualcomm Snapdragon dual-core processor, Android 2.3 (Gingerbread) operating system, 3G/4G capability, 5 megapixel dual cameras, 1.3 megapixel front-facing camera for video chat, 2D video recording at 1080p, 3D video recording at 720p and more. Other features include a 3.5mm stereo headset jack, HDMI, DLNA, 4GB Internal memory, 1GB RAM, microSD card slot, 32GB expandable memory, 8GB microSD card included, Stereo Bluetooth, Wi-Fi 802.11 b/g/n, 3G/4G Mobile Hotspot capability, Integrated GPS and a 1730 mAh Lithium-ion battery. This is definitely a good news since the HTC EVO 3D is not just a CDMA / WiMax device. The exact launch date is not available yet. But, this handset is expected to launch soon in Europe, followed by Asian markets. The price of this handset is still a mystery. Stay tuned for more updates.